Full Name: Louis Harold Casaurang, Jr.
Biographical: He was clocked at 134 MPH, the top speed of the meet, when his roadster crashed and he was killed. Just after crossing the finish line, he swerved to miss the timing tower. He tried to correct it, but the car went into a long skid, shot fifty feet through the air and landed on its top. He was crushed. He was from Concord, California, and was survived by his wife Evelyn who, along with 3,000 spectators, witnessed the fatal crash. It was reported after the accident that the paving was rough in the shut down area and may have been a factor in the inability of the driver to control and stop the car at its high rate of speed. He was a construction truck driver. 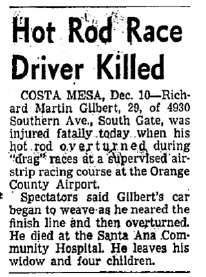 "Drag strip driver dies at 134 M.P.H., Oakland Tribune, Oct. 1, 1956. Biographical: His throttle stuck as he sped across the finish line, flipping end over end, he suffered massive injuries. He struggled through several days of intensive care at Woodland Clinic before being released to go home. Shortly after his hospital stay, he died of pneumonia, according to information provided by Don Jensen, a fellow member of the Hayward Head Hunters car club. He was survived by his wife and three children. 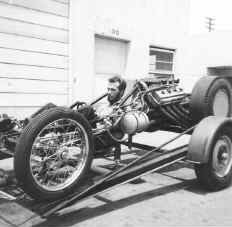 A resident of Bellflower, he worked as a mechanic and semi-professional driver for the Sanchez & Cagle salt flats racing team. His best time in his own AA/FD was 9.06 and 170 MPH. 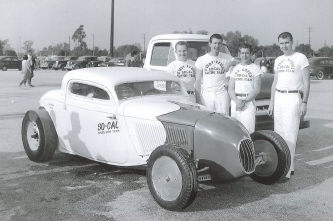 Biographical: He was a runner-up in A/GD to Ted Cyr at the 1958 Indy Nationals. 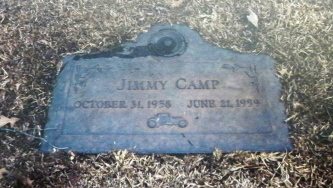 He died at the 1st Smoker's Meet (U.S. Fuel and Gas Championships) at Famoso with about 30,000 people in attendance. He was racing another dragster during an elimination run and had been timed at over 150 MPH on the run. He had slowed to about 75 MPH during the shut down when he crashed into a metal barrel marker and rolled end over end. It took several minutes to pry him from the dragster. There was very little publicity at that first Smoker's Meet and the California Highway Patrol accused the Smokers of trying to cover-up the fatal accident when they failed to file a report with the highway patrol office. The highway patrol didn't learn about the fatal accident until fifteen hours after Cheatham was pronounced dead on arrival at Bakersfield Memorial Hospital. Race officials offered an explanation, believing that a highway patrol officer in attendance at the race was going to follow up with an investigation without them having to make a formal report. Other extenuating circumstances were present which may have explained the situation. Race officials didn't think Cheatham's injuries were serious when he was taken by ambulance to the hospital, but upon learning of his death, they decided not to make a public announcement until after the racing was finished. An autopsy was ordered because it was thought he may have suffered a stroke or heart attack, but the autopsy showed that he died as a result of a broken neck. Both Kingdon Drag Strip and Fremont Drag Strip had benefit drag races to donate money to his widow. His best time was 9.96 at 152 MPH. 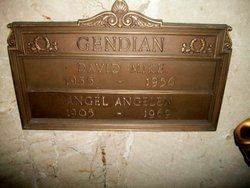 He was from Sunnyvale, California. 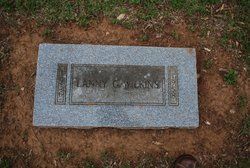 Biographical: He was killed while practicing for quarter-mile drag races. He was from Pleasantville, Pennsylvania. The races may have been held at the Flagler Beach Airport at Daytona Beach. Biographical: Heeter, from Dayton, Ohio, was killed while running 107 MPH when his car skidded 264 feet and turned end over end. He was thrown from the car, over 300 feet through the air, witnessed by about 500 spectators. He was trying to break the strip record on his third run of the day. Biographical: Dairl Peterson, a 16-year old Farmington boy, had just made a solo run on his motorcycle. The racing on the old highway west of Farmington was unsupervised and it was dusk. Probably not seeing that Peterson was still in the act of turning around, Hester and another motorcyclist began racing. Hester was speeding at about 100 MPH when he collided with young Peterson, who had not yet exited the road. 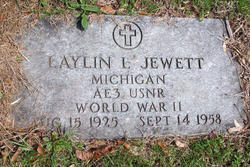 Hester, who lived in Farmington and owned a truck company, was survived by his wife, Evelyn, and five children. Police, who appeared to give tacit approval to racing on the old highway, closed the drag strip highway to any further drag racing after the fatal accident. All newspaper reports referred to this stretch of the old highway as a drag strip. Biographical: He crashed his car while traveling over 100 MPH during qualifications on a solo run. The track operator took him to St. Joseph Hospital in Mount Clemens where he died the next morning. 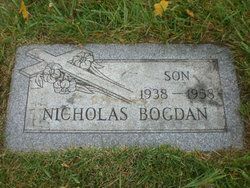 He was the son of Anna Kaczorowski and was a member of the Bearing Burners hot rod club of Mount Clemens. Biographical: He lost control of his car at a speed of 142 MPH, crashing into a light pole. The car spun out and rolled several times just before sunset. He died several days later from his injuries at Seaside Hospital in Dominguez. 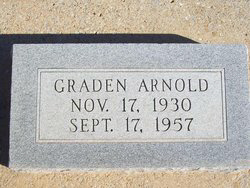 A resident of Sherman Oaks, California, he was survived by his parents, a sister, and three brothers. He worked in a gas station. 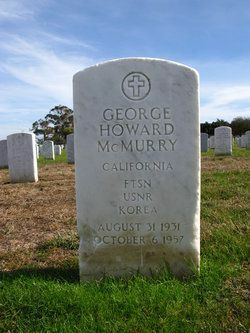 He had been an army paratrooper in the Korean War. He reportedly held the world record for a stock roadster at 142.45 MPH. 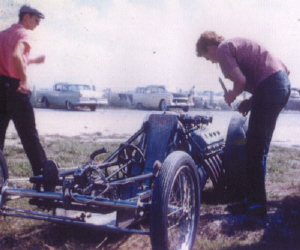 The dragster he was driving when he had his fatal accident had once been raced by Fritz Voight as an Open Gas car. Earlier in the day, co-owner Bill Watson of Sepulveda drove the car to a new track record on two runs of more than 150 MPH. Biographical: About 1,000 spectators saw him go through the traps at 147 MPH, but he was unable to slow down in the shutdown area. He went off the end of the strip, rolling end over end, before slamming into an ironwood tree. The week before, he set an island record with a 160 MPH run. He was transported to Kahuku Hospital, where he soon succumbed to his injuries. 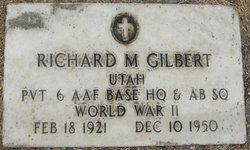 He was a civilian fireman at Hickam Air Force Base. Biographical: He was traveling over 100 MPH when his home-built race car flipped over off the end of the race track. The accident was thought to have been the result of a broken steering mechanism. He was survived by his wife who, along with 1600 spectators, witnessed the fatal accident. They lived in Cincinnati. 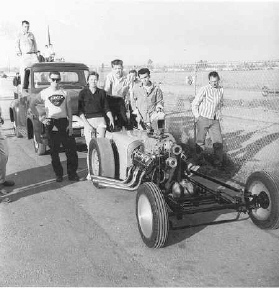 Biographical: His handmade fiberglass Mercury-powered race car went out of control and flipped over at least seven times after being clocked at 129 MPH. 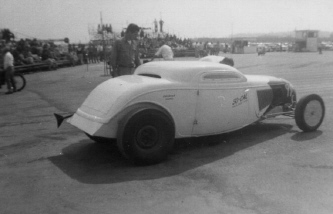 In the morning time trials, the Mahoney Brothers car had clocked the meet's fastest speed (135.82 MPH) and time (10.31). He was from San Jose, California, and was an engineering student at San Jose State. 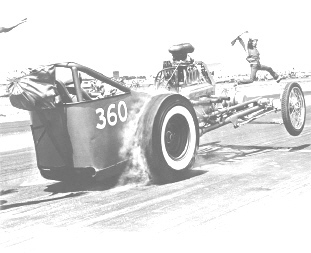 The drag strip had only been in operation for two months. Santa Rosa police ordered the strip closed three days after the accident reportedly because "safety specifications had not been met." Biographical: His home-made car skidded on the track and overturned. His father, who had helped his son design and build the car, witnessed the fatal accident. He was transported to El Monte Medical Center where he was pronounced dead on arrival. His death was one of two fatalities at the race track in the space of seven days. A co-owner of the drag strip said that track officials did not ask to see if he had a driver's license because he looked like he was old enough to have one. 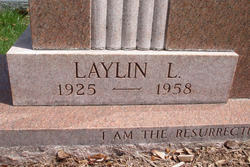 He lived in Los Angeles. Biographical: Dairl Peterson, a 16-year old Farmington boy, had just made a solo run on his motorcycle. The racing on the old highway west of Farmington was unsupervised and it was dusk. Probably not seeing that Peterson was still in the act of turning around, L. E. "Popeye" Hester and another motorcyclist began racing. Hester was speeding at about 100 MPH when he collided with young Peterson, who had not yet exited the road. Peterson, who lived in Farmington, had members of his family there to watch him race and witnessed the fatal accident. Police, who appeared to give tacit approval to racing on the old highway, closed the drag strip highway to any further drag racing after the fatal accident. All newspaper reports referred to this stretch of the old highway as a drag strip. Biographical: After being clocked at a speed of 157 MPH, he was unable to slow the car when his throttle stuck. He tried to do a broadside skid and the car overturned. He was pronounced dead on arrival at Bakersfield Memorial Hospital. A resident of Bakersfield and owner of an automotive service, he was survived by a wife and two children. Biographical: While traveling at an estimated 150 MPH, his dragster disintegrated after rolling several times during an elimination run. He was rushed to Washington Township Hospital where he died seven hours after the crash. He was a resident of San Jose (or Campbell), California. 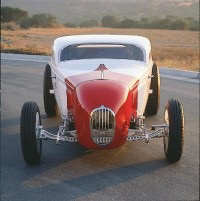 A news report mentioned that he was known as the "king of San Jose hot rodders." 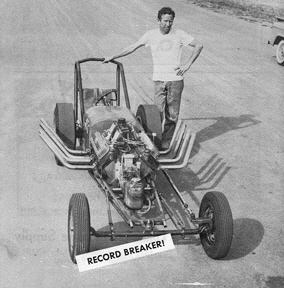 Earlier in the year, he had set what was reported to be a national record in B dragster at 168.53 MPH. His younger brother, James, witnessed the fatal crash. 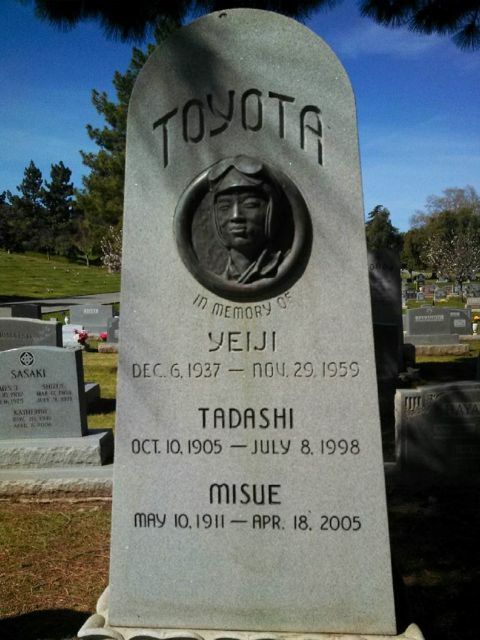 He was survived by his parents, Tadashi and Misue Toyota.